The British Virgin Islands are the premier sailing and powerboat destination in the Caribbean and home to the world's largest charter fleet. We offer some of the finest catamarans, monohull sailboats and motor yachts available from various charter companies on Tortola. Established in 1998, Bareboats BVI represent 62, handpicked yachts from 34' to 55'. We provide detailed descriptions, layouts and photos and inspect each yacht as often as possible to ensure it continues to meet our demanding standards and your expectations of a worry free vacation. Sailing the British Virgin Islands is an experience most would agree is very hard to beat! Captain only charters are also available if you are not quite ready to sail on your own. As your brokers, we are your "on island" eyes and ears and represent your interests! We work closely with each of the companies we represent and will do our utmost to help you select the yacht best suited to your needs and budget requirements. We have spent many years developing extensive information related to chartering a bareboat. We've compiled every single question we've been asked over a 10 year period and have done our level best to answer each and every one in a cohesive and detailed manner. You'll find pages dedicated to how to choose between a monohull or catamaran, water toy rentals, SCUBA diving, fishing, what to pack, how to get to the BVI, where to stay before or after your charter, coping with sea sickness, yacht provisioning and much more. You'll find the weekly (7 night) charter rates for each yacht listed on the main catamaran, monohull and motor yacht pages as well as on each individual yacht info page. In addition, if you enter your preferred charter dates at the top of this page, the rates indicated will display the net charter fee for those specific dates and the rate will include any discounts available for any given yacht. Any yacht page you visit will show you your net price. You may change your dates at any point to see the difference in rates for different periods of time. We will happily arrange ASA sailing lessons for you. Levels 101, 103, 104 and 114 are offered. We can also provide a captain for the duration of your charter or for just for a day or two, allowing you to brush up on those rusty sailing skills and to help familiarize you with the boat you have selected and the operation of its systems. If you are the active type who always wanted to learn to sail, why not just go ahead and do it? If you don't already sail, you are going to have to hire a captain anyway. A regular captain costs $175.00 to $185.00 per night and an ASA sailing instructor costs $200.00 per night. For just a few dollars more, plus your course materials (which you will buy online) ... you can learn to sail! The American Sailing Association course materials and final exams are not that expensive. You can share the text books or study together, as you will read the course materials at home, prior to arriving in Tortola for your sailing vacation. Even if you aren't concerned about becoming certified, it might be fun to learn to sail. Don't worry about doing the homework before arriving, don't worry about exams or log books or any of that sort of thing. Just learn to sail for the sheer fun of it! We welcome yacht club and group charters involving multiple boats. Be sure to begin your planning process early to be assured a sufficient number of yachts will be available for your group. Most of the more popular boats are booked at least a year in advance and sometimes longer if chartering during any holiday period. Many yacht clubs plan a Caribbean sailing holiday for club members and we are often asked to assist in the organization. We have arranged flotilla charters for over 20 yachts at a time and would be thrilled to hear from you. We are often asked to arrange charters for small groups of friends who want 2, 3 or 4 sailboats as well. Not a problem! We would be pleased to assist and will do our utmost to provide the best possible combination of boats that will earn your group the highest discounts. No group is too big or too small. If you and your yacht club or friends are planning a flotilla, please complete our group charter request form. 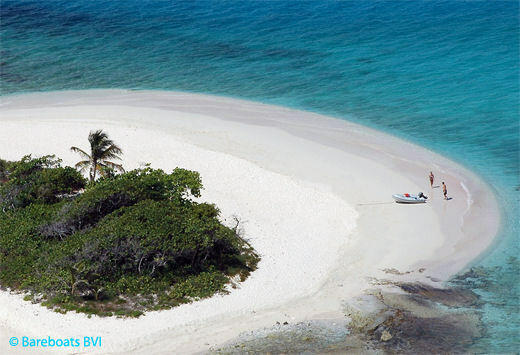 You will find a great deal of information detailing each of the major islands in the BVI and most of the smaller islands. We've included maps, places to see, things to do, restaurants to visit, where to buy provisions along the way, etc. There's almost 300 pages of info available ... but if you're unable to find what you're looking for, get in touch and we'll do our best to provide the answer.